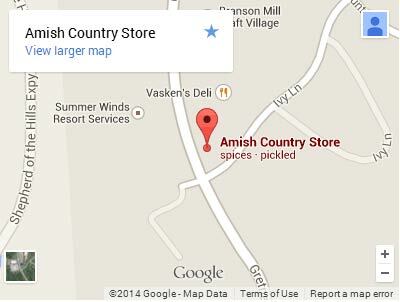 The Amish Country Store is a family owned and operated business that was started in 1999 by Terry and Darlene Whalen. Terry and Darlene have been dealt with Amish families for a long time, they work very hard to bring you some of the best Amish made products you can find. They have listened to all of your requests over the years, working to bring the things you want, from all Natural Jams and Jellies to homemade pickles. They also bring you Real Handmade Amish Furniture, no imports.